We are really trying to get into the Advent spirit here. 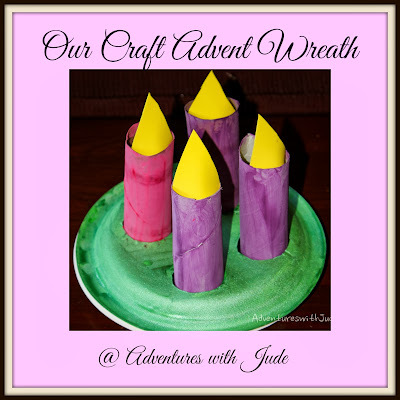 Sure, there is Christmas all around us, and if we don't work on things like shopping and cookie baking, there won't be anything come the 25th, but Advent is supposed to be a time of preparing not just the presents and the food but really our hearts for the coming of the Infant Jesus. For his Advent project, Luke is copying and exploring Bible verses. He is using this list, from Real Life Titus Two, that gives a passage a day to reflect on. 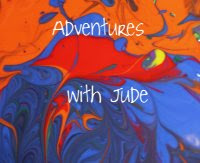 Jude and I are working on projects a little less ambitious with the writing. We're doing crafts, starting with making an Advent Wreath. For paper plates - you want something with a bit of a rim on it. You'll glue the top of the wreath to the bottom plate and you want it to be able to adhere to the side, not the center. You'll need to "splurge" a bit for these. (You can use cheapie plates for creating a paint palette.) We used Stalkmarket brand plates - they are made from recycled sugar cane so they take paint nicely. Start by tracing the edge of the roll onto the back of the plate. Cut out the circles. Keep one of them for sizing the flames, but the rest can be thrown out/recycled. Cut paper towel rolls in half. 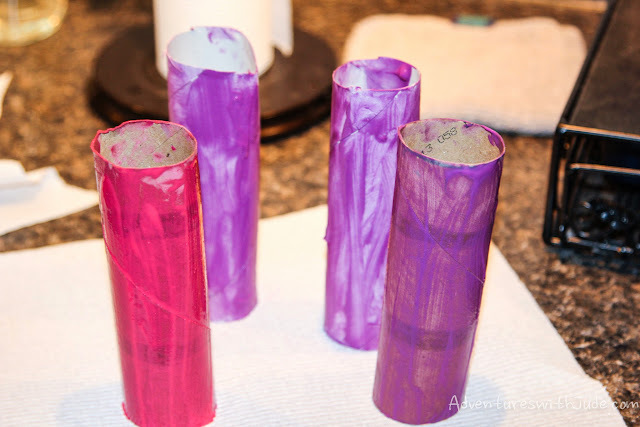 If you have toilet tissue rolls, then you can skip to painting. 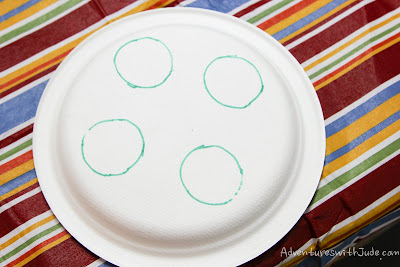 Paint the upside down plate green to form your wreath/candleholder. Then paint the cardboard rolls. Paint three purple and one pink. Cut your triangles out and set aside. When your green plate is dry, apply glue to the rim of a second plate. Match the edges of this and the green plate (painted side up). This will create a channel for your "candles," and a base for the "wreath." To assemble your wreath, insert the candles into the holes. 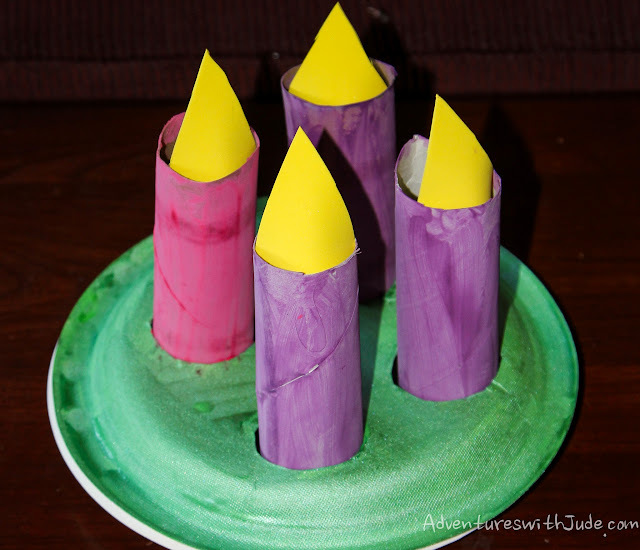 "Light" your candles by gently bending the foam so it slips into the top of the cardboard tube. and saved by Thy deliverance.